I've got a large database that has many different tables (people, vehicles, incidents, citations, calls). The database is used to keep track of certain information for my department. I've got a table for vehicles, which stores information on vehicles such as make, model, color, year, license plate, etc. I've got another table for citations which displays date, violations, officer, license plate, name, etc. 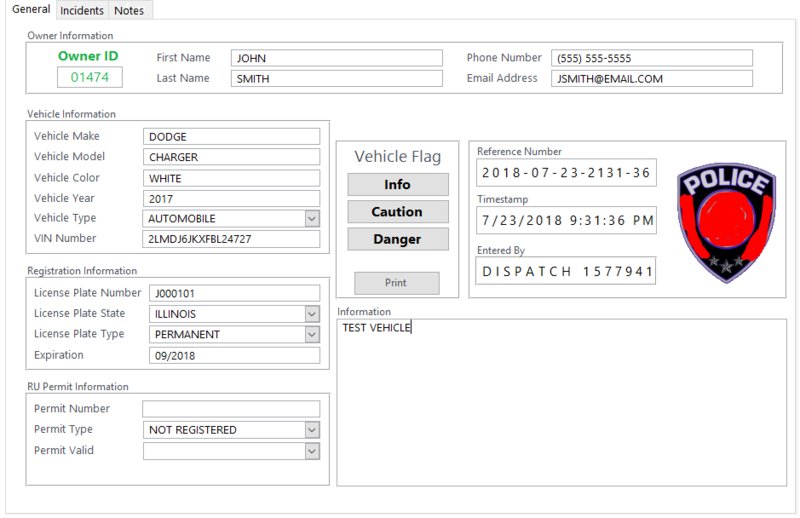 If someone pulls up a certain vehicles information using the Vehicle Information form it would have a tab called Citations which I'd like to show all of the citations that were issued to that license plate and have a button that can be clicked to view the citation information. The citation information could be loaded when the vehicle form is opened, or when the citations tab is selected, or have a button that says get citations. You'll most likely need to use a similar subform to the one I have in the database in the tab-control-page1. 2) Option two is a pop-up form triggered by a command button on your form. The pop-up could then show the details. Instead, use the [Advanced] button below the "Post Your Reply" box and directly upload the image into the thread using the manage attachments tool. 4) Appears that you have the right nomenclature. Bound form using a tab-control with three pages named "General," "Incidents," and "Notes". Is there only one citation per incident, or can there be multiple citations per incident? In the former case, assuming the linking field is Licence plate then an addition Citations page with a linked continuous subform showing all the citations for that Licence plate. If the later situation is true, assuming that the incidents are on a continuous subform, the Citation subform needs to have the link set to Licence Plate and Incident. On the after update of the incident, you need to refresh the Citation subform. Reporting problem with multiple tables?